"Let Jenny get you home!" Jenny began her career at FM Home Loans in 2013. She learned the business by starting as a Jr. Underwriter and understanding every loan program’s requirements. Her experience has served her well as she is now an expert at obtaining the very best loans for her clients. Jenny has already trained many people entering this industry. Jenny’s humor and direct approach helps her cut through the noise and distractions of a complex process and develop the best course of action to clear a loan for approval and closing. Jenny is also proficient in Chinese which allows her to service a broader range of clientele. The service and personal attention I received from Jenny Deng was exceptional. She was professional, responsive and offered honest assistance in the entire mortgage process. Taking out my first time mortgage it make be a bit nervous but she was there to respond to all my questions and concerns leaving me at ease most of the time. She has a wealth of knowledge and experience in the mortgage industry and looked out for my best interest. Jenny is knowledge of what she was doing and explained clearly what have to be done. She is very friendly and answered all the questions I asked. I would highly recommended her to all my friends. She is the best! When i get my next house, i will Definately look for her help! 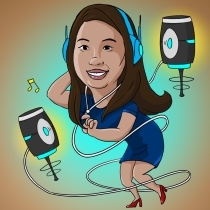 Jenny Deng was very professional and take her time to explain everything to me thoroughly until i understood every step of the way to obtaining my home. 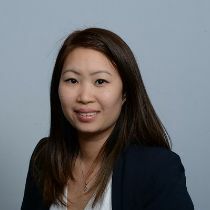 As a first time home buyer, I was absolutely clueless on how the process works but with Jenny Deng by my side, I was able to run through the process and all the paperworks smoothly to get close on my house. I would definitely recommend her to anyone i know that needs a loan office/company to get them set up on a home. Thanks again Jenny Deng!